Here it is - the last installment of my Boots sale haul! You can catch up with Part 1 here and Part 2 here. I've been loving all your comments and also loving the amount of you that say you are heading to Boots - there are so so many bargains to get! First up... sorry about the horrific photo - majorly bad lighting here, I've been trying to fit in photo-taking before I go to work in the mornings - nightmare! I have been spraying this on myself where I work for months and months - don't judge me but I just love the scent! I like 1D, not a huge crazy directioner but yes I do I like them (who doesn't?!)! 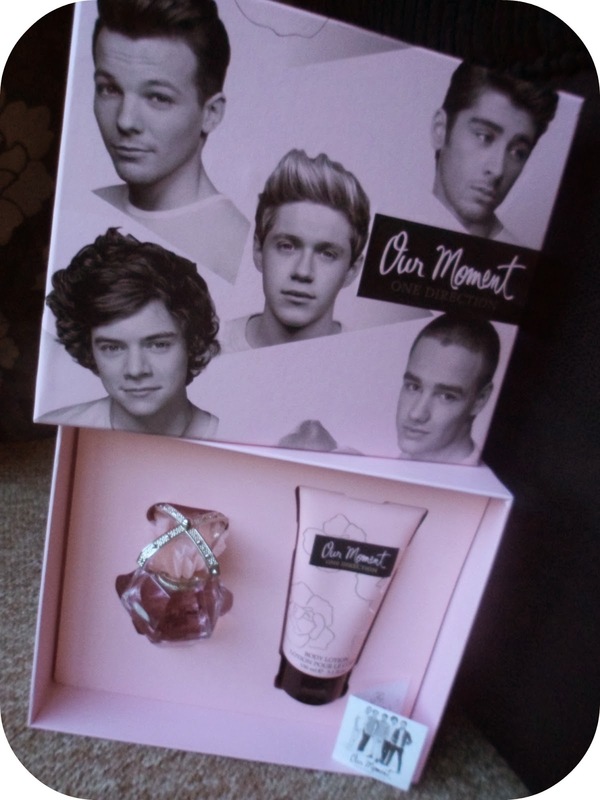 But I do have to say I did buy this set due to the scent and not because it is by 1D! It is a sweet smell - my favourite kind, comes in a gorgeous bottle and the 50ml bottle sold separately is worth approx £28 - so why would I not want the whole set for half that price?! Yup it is once again ANOTHER Soap & Glory product - I like them okay! This is a gorgeous manicure set ... we all know how much I love having my nails done and looking girly! 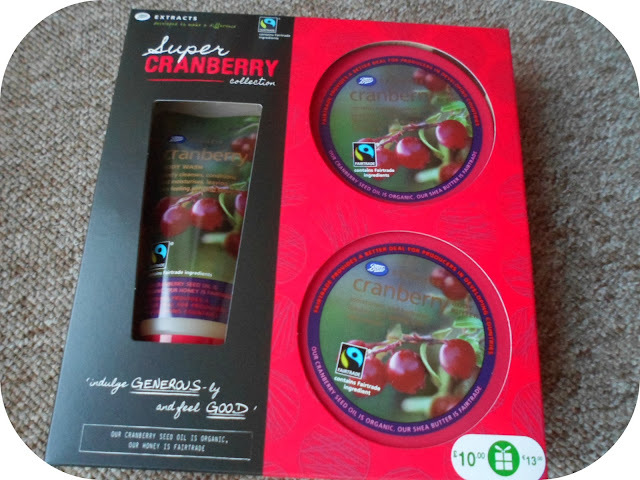 or just £7 you receive a full-sized Hand Food hand cream (worth £5 alone! ), the Scrub + Happiness dry hand smoothing scrub (something I have never seen before so am super excited to try out! 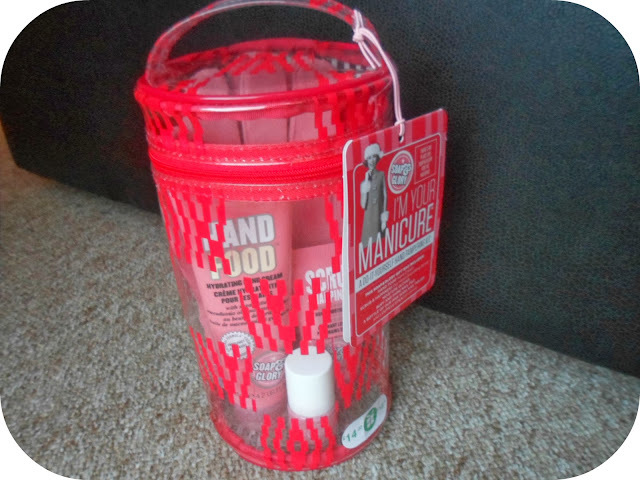 ), a gorgeous baby pink polish called Pink Soda, a pair of pink moisture gloves to give your hands a fab pick me up, a buff and shine nail file and an orange stick! Amazing hands here I come! First up, how cute is this packaging! Joules stuff always looks so cute! I tried this brand for the first time earlier this year and fell in love so when I saw how cheap these were I had to invest. I don't have a Lush near where I live so bath bombs and fizzes aren't something I buy alot so these are an exciting treat I can't wait to use! I couldn't buy the lip kit and not the eyes... that would just be rude! Right? 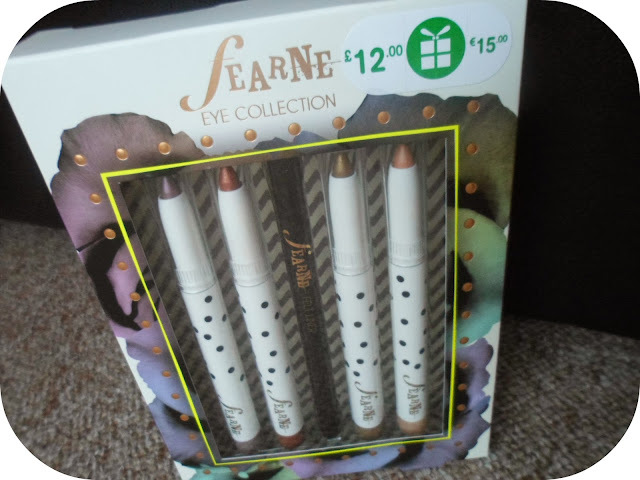 I love Fearne's stuff and these colours looked to pretty to resist! I love soft eye crayons like these, especially to line the eyes - they look gorgeous! You also get an eyeliner with the it - so 5 items for £6! Once I'd bought one (Cocoa Butter) I couldn't just stick to the one. The saving on these sets are so great that I thought I might aswell just invest in a year or two's worth of body wash, scrubs and butters! These smell fab and love it when all three match! Lovely Jubley! So there we have it my haul (in 3 parts) is done! Have you guys been rocking the Boots sale aswell? I'm keeping my eyes peeled for when everything goes 75% off aswell - might be able to bag an even bigger bargain! 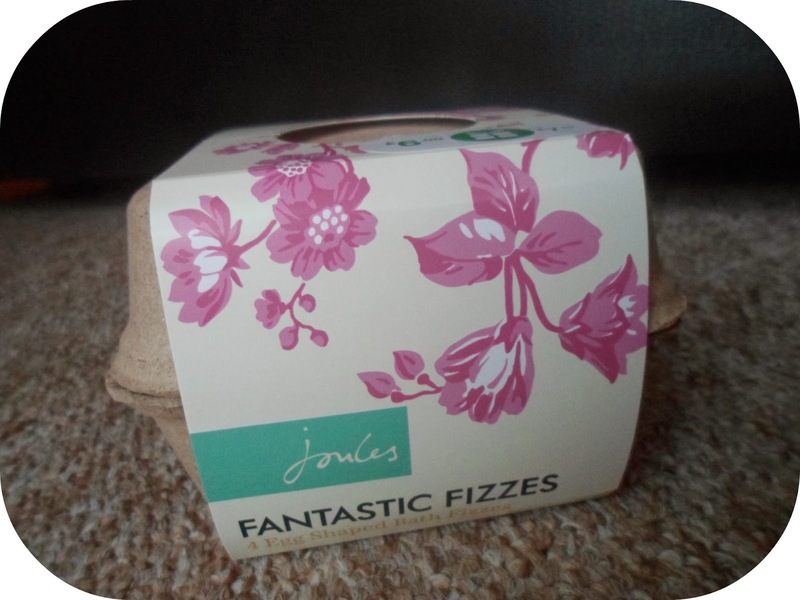 OO Those bath fizzes look so cute! The soap & glory set looks so nice! I always see really great sets by them but never see them in the US sadly! Such amazing bargains! I'm so jealous! Everything had gone once I'd got there! 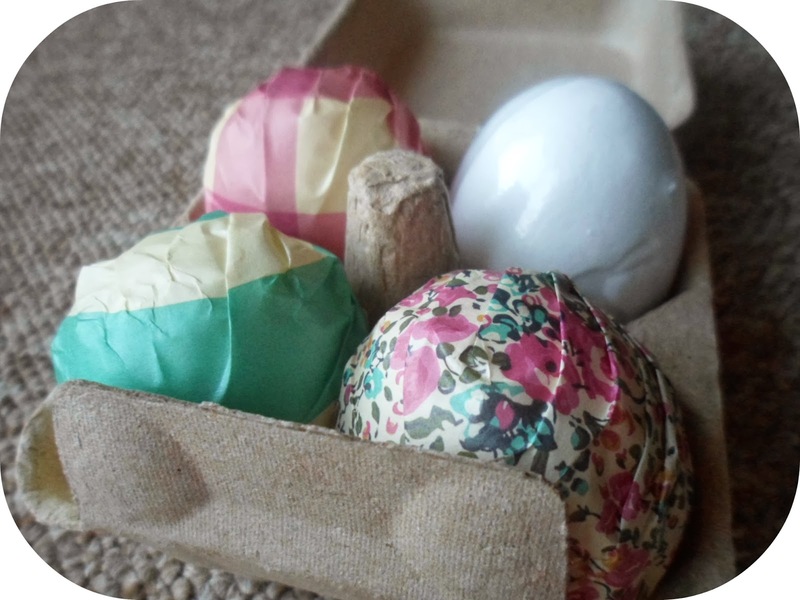 Ohh wish I'd picked up those bath bombs! I am also terrible with this boots sale stuff!! I went a bit Soap & Glory gift set mad in the Boots sale hehe. I never even knew that Boots went to 75% off - I'll now be keeping an eye on the sales section both online and in my local store.